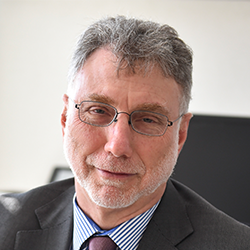 Martin “Marty” Baron became executive editor of The Washington Post on January 2, 2013. He oversees The Post’s print and digital news operations and a staff of more than 800 journalists. Newsrooms under his leadership have won 12 Pulitzer Prizes, including five at The Washington Post. The Post during his tenure has won three times for national reporting, once for explanatory reporting, and once for public service, the latter in recognition of revelations of secret surveillance by the National Security Agency. In 1996, Marty moved to The New York Times; he became associate managing editor responsible for the nighttime news operations of the newspaper in 1997. He was named executive editor at the Miami Herald at the start of 2000. Baron delivered a keynote speech at ISOJ 2018.